Truffles, I enjoyed your interview with Toria. I sure hope her human is found soon and is okay. 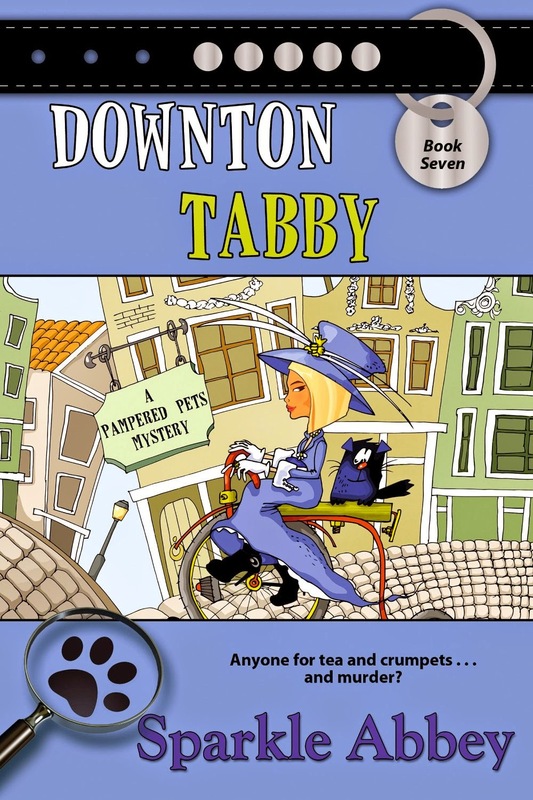 I love cozy mysteries, especially those in which cats play a significant role, so many thanks for the opportunity to win a book in this series! Another great interview Truffles. This sounds like an interesting read. I love Scottish folds, I read the 3 books about Norton the cat who traveled the world. 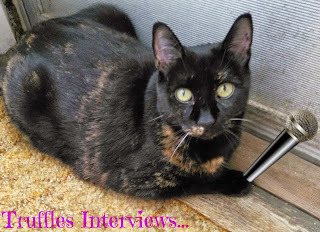 A fun interview with Truffles and Toria! 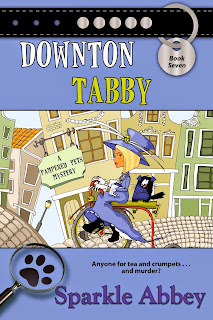 I look forward to reading Downton Tabby soon!!! Truffles, thank you for introducing us to Toria. That sounds like an interesting adventure. Toria was such an interesting interview, Truffles. This sounds like a really great series of books, and we will have to check them out! Fun, as always, Truffles and Melissa! I haven't read this series. It's nice to meet you Toria. I look forward to meeting a Scottish Fold cat in person one day. Wonderful interview! Thanks for introducing me to a new author! I am new to this series. Looks right up my alley:) The interview was great and got me excited to try this series. Love animals, mysteries, and adventure. Thank you for the chance to win. I have not started this series yet but all the books sound great. Thank you for the chance. Love the interview and this series. Way to go Truffles. I love Sparkle Abbey. Another super interview, Truffles. I want to read this book about Toria. Thanks for the contest. Downton Tabby? How great is that? PURRS.